Nissan is highlighting London’s battle with air quality in the UK by using the 100% electric Nissan LEAF to power a striking piece of street art in Waterloo, London that depicts the capital’s iconic skyline. Nissan commissioned Reverse Graffiti artist Moose, to create the mass-scale mural, which was unveiled today. 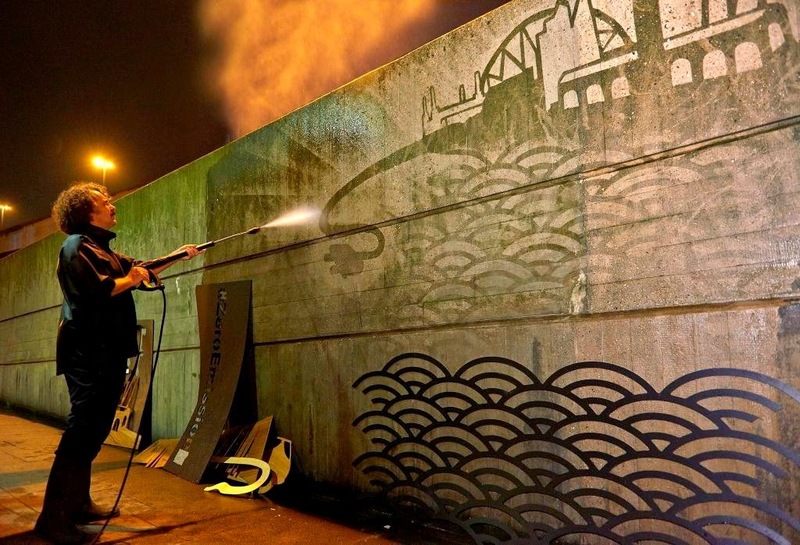 Unlike traditional graffiti, Moose creates his art by cleaning dirt off surfaces using a jet washer or wire brush, leaving a striking design in negative on the wall. Much of the dirt is caused by particulate matter from vehicle exhausts, levels of which often exceed guidelines and limits in busy areas of London and other European cities. The artwork includes a host of London’s most famous landmarks: Buckingham Palace, The Shard, Battersea Power Station and The London Eye, to name just a few. Produced to highlight the growing issue of poor air quality across Europe’s biggest cities, it aims to showcase how much cleaner they could be if more people adopted electric vehicles. 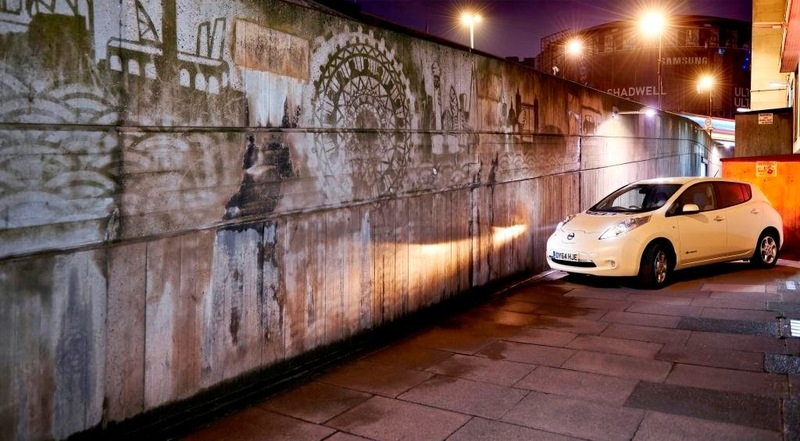 The jet washer used to clean the wall was powered by the Nissan LEAF via a portable device that converts electricity from the car’s battery to provide as much as two days of power to a household on a single charge. Before the artwork made its way onto the wall, Moose sketched the skyline by hand and then created stencils that pieced together to produce the finished artwork, standing some 2.5 meters tall and 10 meters wide. The campaign places Nissan at the center of leading the call for clean air and smarter cities around the world. Reblogged this on My Family's Nissan Leaf.